GoDaddy, an Arizona web hosting company, experienced severe outages yesterday. The massive Distributed Denial of Service (DDoS) began late Monday morning, and the GoDaddy.com site itself went offline. Twitter user Anonymous Own3r, a member of the Anonymous hacktivist group, is claiming sole responsibility for the attack. 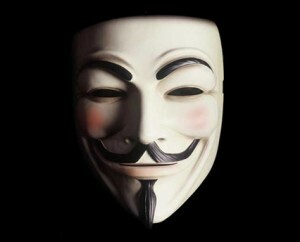 According to the twitter account, Anonymous Own3r is an official member and security leader of the famous hacktavist group Anonymous, and claims the move is a reaction to the company’s support of the U.S. government’s efforts “to censor and control the Internet,” through its support of the Stop Online Privacy Act (SOPA). GoDaddy is currently the largest domain registrant in the world, and is four times the size of its nearest competitor. 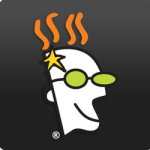 GoDaddy reportedly manages more than 48 million domain names and serves more than 9.3 million customers. The outage affected not only those sites hosted by GoDaddy, but also those registered with the company which includes thousands of websites, big and small. Reports also show the FBI and DOJ, the Recording Industry of America, Motion Picture Association of America, Universal Music and BMI.com websites were also attacked by this movement. The hacking group is trying to claim retribution for anti-piracy efforts by both the government and the entertainment industry. Who is Anonymous you might ask….. Anonymous is a loosely associated hacktivist group. It originated in 2003 on the website 4chan.com, an image sharing website where a large number of online community users simultaneously exist as a “digitized global brain”. It is also generally considered a term used for members of certain Internet subcultures, where their actual identities are not known. In its early phase, the concept had been adopted by a spread out online community acting anonymously in a coordinated manner against a loosely self-agreed goal, and was primarily focused on entertainment. In 2008, they began increasingly associating with collaborative, international hacktivism. Although it’s not necessarily tied to a single online entity, many websites are strongly associated with Anonymous. This includes popular imageboards such as 4chan, their associated wikis, Encyclopedia Dramatica, and a number of other forums. Anonymous has claimed involvement in a number of cyber-attacks in the past including attacks against the Pentagon, News Corp, Monsanto, Visa, MasterCard, PayPal, GM, and other Government websites. They have even threatened to destroy Facebook. 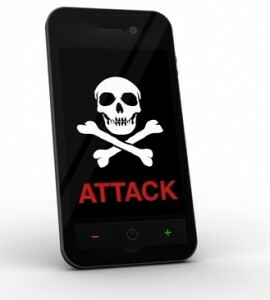 Their coordinated community is not only involved in cyber-attacks, it has also partly organized activist movements such as Occupy Wallstreet, and have been responsible for tracking down wanted criminals that lead police to an arrest. A recent statement by Anonymous read: “We will continue to attack those who embrace censorship. You will not be able to hide your ludicrous ways to control us”. So now the question is: Who will be the next target of Anonymous, and how long before we see another attack?